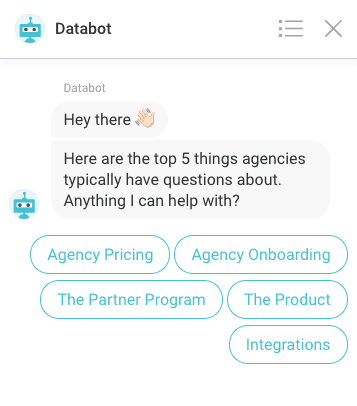 In this episode of Data Snacks, we detail a couple of small changes that resulted in significant lifts in both new conversations and new contacts. I wish I could say it was something groundbreaking. Something sexier. 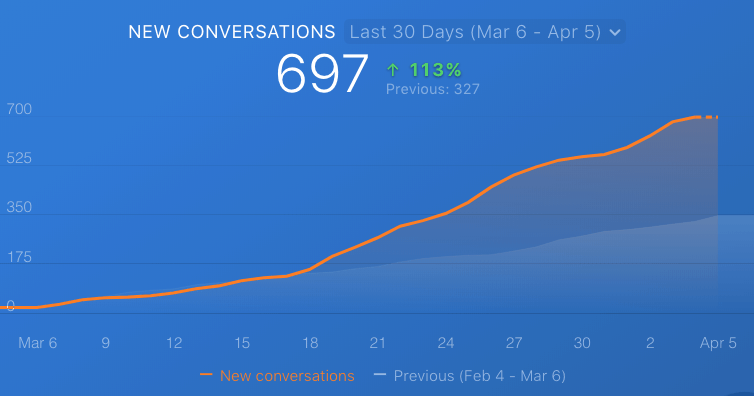 But do you really want to know how we increased our new conversations by 110%? By actually promoting conversation. Or like, asking real questions. Websites are alive with pops and handsome faces. New conversations and response times are our new obsessions. Yet most companies have essentially repurposed automated phone systems into website form. For customer support, press 2. For all other inquiries, press 3. To repeat these options, press 4. We were essentially doing the same thing, as seen below. I write this post not from a place of elitism, but from a place of empathy and humility. You might be doing it, but we were doing it, too. And you know why it took us so long to find a better way? Whenever you implement a new system, there’s the potential for initial results to rock you to sleep because there’s no benchmark to measure against. Imagine sending emails for the first time–any opens or clicks are an improvement over the status quo. This shouldn’t prevent us from learning, iterating, and ultimately growing. Set-it-and-forget-it is not a successful long-term play. I share even more about what we changed, and why, in our latest episode of Data Snacks. Want the free Drift template featured in this episode? Grab it here. We weren’t promoting conversations. We were directing them. Back to those automated phone systems we all love to hate, swearing into our phone while mashing ‘0’ in the hopes to talk to someone about my needs. The same thing is going on with live chat. But any great conversation is as much (or more) about listening as it is speaking. But we, like many other websites with live chat, were executing our playbook. If you have a question about your current device, please press 4 now. To repeat this menu, press 5. While we were seeing results, we were curious if we could 10x the engagement by going more open-ended and conversational. When you stop talking, you create space for others to start talking. You create the grounds for real conversations to take place. Also, when you actually ask a real question, you’re more likely to get a response. 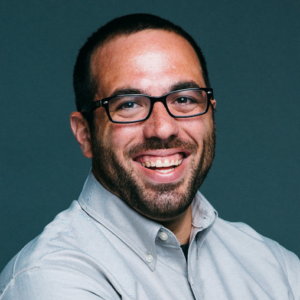 By analyzing our conversations over the last six months, we learned that most everyone visiting our homepage (or pricing page) either wanted to, 1) see a demo of the product, 2) learn more about pricing, or 3) simply talk to a real person. By appealing to the two most-requested inquiries right off the bat, we allow more people to self-serve. 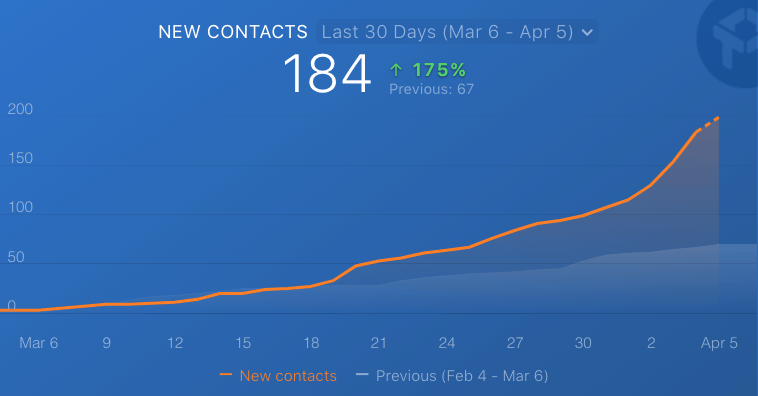 Also, the demo requires a signup so we can send invites, communicate post-demo, etc., which resulted in a 175% increase in new contacts month-over-month. 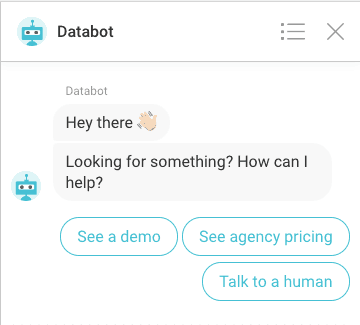 By simply adding the “Talk to a human” option, people seemed much more willing to engage with the chatbot knowing there would be a real person on the other end. I really wish it were something sexier than that. But the things that work are always some of the most obvious in retrospect, only because they tap into what’s human. …and 175% lift in new contacts. This is simply what worked for us. Have you tried anything specific that worked? Would love to hear all about it in the comments. P.S. Want the free Drift template featured in this episode? Grab it here.